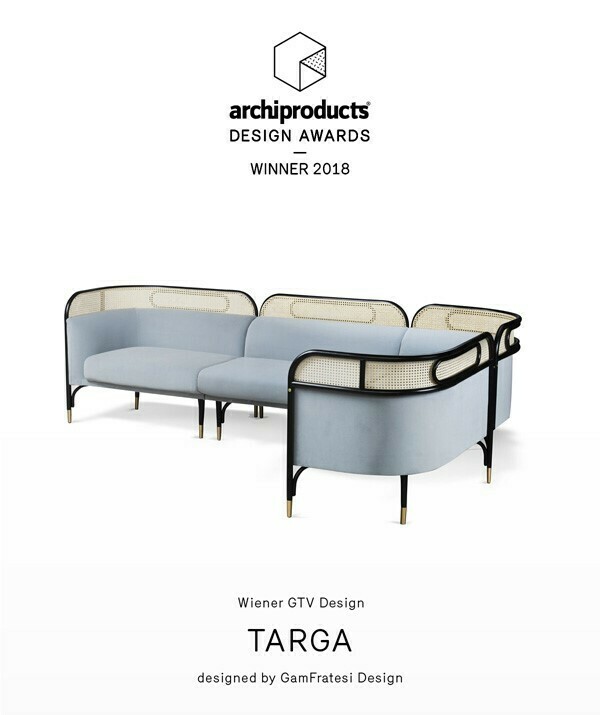 A new prize for Targa, the first family of upholstered furniture presented by Gebrüder Thonet Vienna in 2015 that with the modular version, Targa Modular Sofa, a 2018 novelty, wins the Archiproducts Design Award 2018. 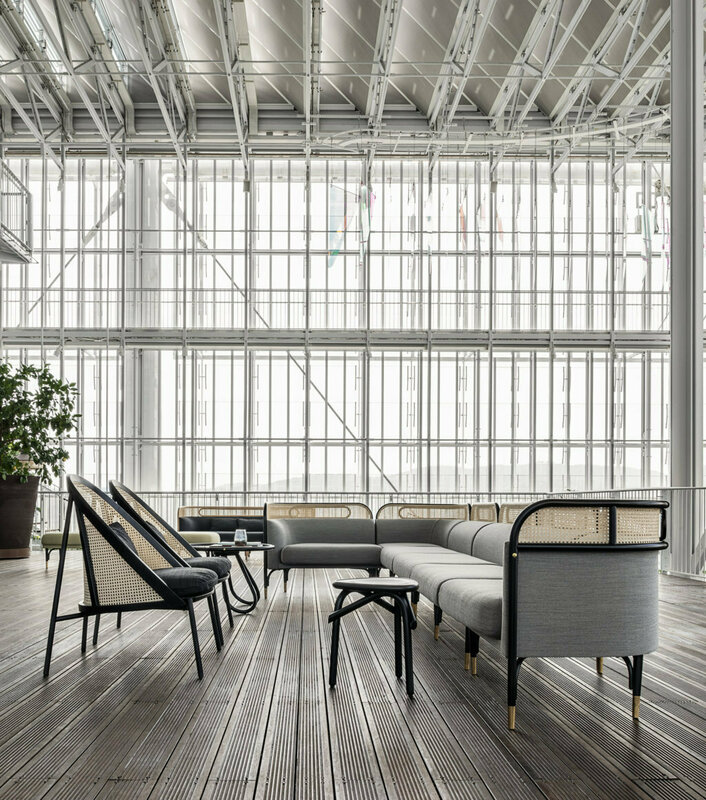 Further recognition of the design quality and the manufacturing culture of Gebrüder Thonet Vienna, ADA is the award promoted by Archiproducts, a search engine for the world of design, architecture and construction. Now in its third edition, created with the aim of celebrating the project value and the collaborations between companies and designers, this year saw more than 600 candidates evaluated by the prestigious international jury. A real melting pot that reflects the identity and evolution of the award and that has seen the presence of some of the most influential architectural firms in the world. The result of the collaboration with GamFratesi is the new Targa Modular – comprised of four elements: central, right end, left end and corner – has further enriched the iconic and structured Targa collection. An ideal proposal to furnish refined lounges and contract spaces destined for a more intimate and cosy social occasion, as well as residential environments with an unconventional personality. 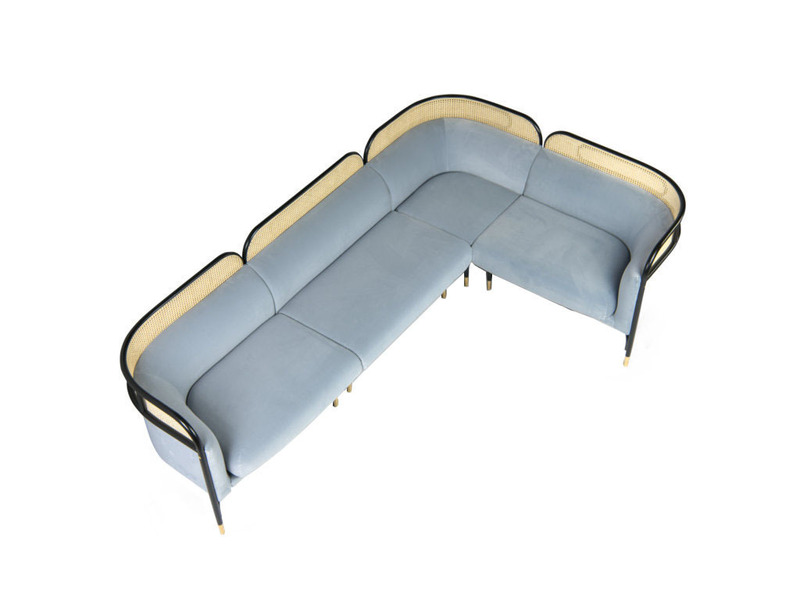 In Targa, today one of the brand’s bestsellers, all the elements of the Gebrüder Thonet Vienna tradition contribute to characterising its profile: the structure in bent beech wood supports the large seat cushion and the upholstered back, which ends with an edge in woven cane, in which the ellipsoidal element, i.e. the plaque (targa in Italian), which gives the project its name, is inserted.